We’ve been listening to a lot of feedback from subscribers recently and will soon be making some big changes to the subscription so look out for a new post with a full explanation. In the meantime, we’ve put together another great selection of grooming goods. The shaving soap in particular smells fantastic and isn’t to be missed! Read on for the full review and don’t forget that all new customers to the subscription get our signature safety razor and brush FREE in their first box, worth £25!. 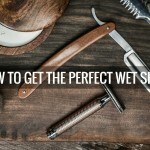 There’s never been a better time to learn to use a classic safety razor and reap the benefits of an extra close and enjoyable shave. Based in Glasgow, Scotland, Twa Burds Soaps is an independent artisanal soap company that specialises in products using natural ingredients without added parabens or unnecessary preservatives. 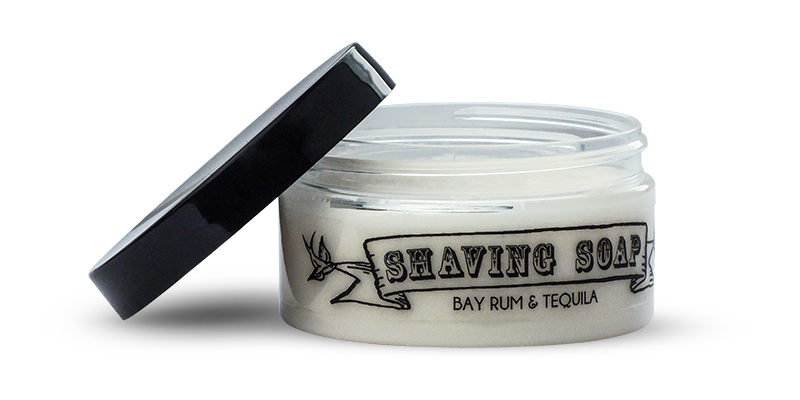 As soon as you open the shaving soap lid you’ll be hit with the incredible bay rum and tequila scent that stands out as one of the nicest smelling products we’ve ever tried. The soap has a vegetable glycerine base making it suitable for all skin types but also makes it very easy to create a lather out of. In seconds you’ll have a dense, cushioning lather that moisturises the skin, leaving a great post-shave feel. To use: Work the top of the shaving soap with a damp brush until it’s fully loaded (30-60 seconds) and then start building your lather as normal either in a bowl, your hand or directly on your face. If it seems paste-like, keep adding drops of water until the desired consistency is acquired. 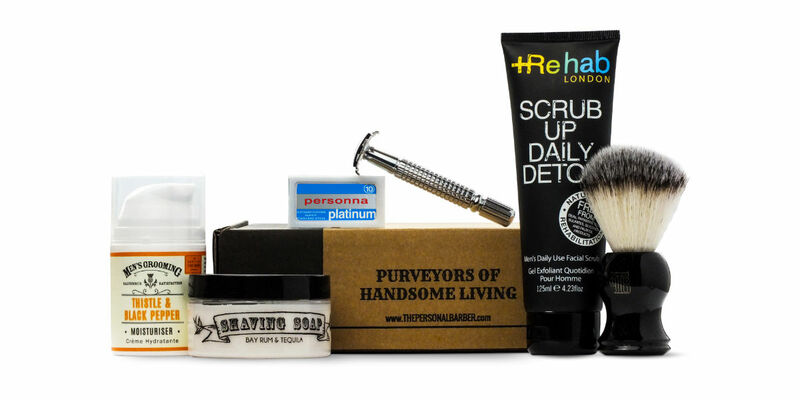 Rehab London is an exciting brand from the big smoke that came about after 2 years of researching what men wanted in their male grooming products. The end result is their incredible line that features a healthy dose of science-backed natural ingredients such as Hawaiian water algae and is SLS, paraben and petrochemical free. 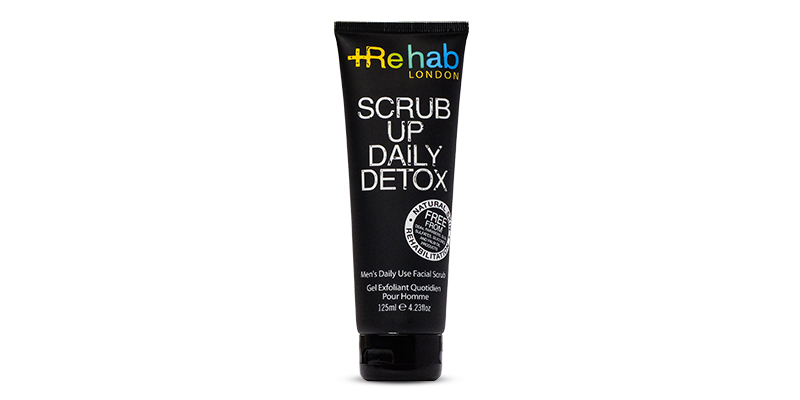 Their scrub up daily detox is specifically targeted at men’s larger pores to prevent blackheads and ingrown hairs. A natural pumpkin enzyme promotes the slough of dead skin cells and accelerates cell renewal whilst natural black volcanic sand from Tahiti and bamboo spiny medulla granules gently exfoliate away the impurities as well as lift up any hairs, priming them for shaving. We love how this scrub leaves the skin feeling soft and polished and how it’s gentle enough to be used daily, making it perfect as part of a regular shaving routine. To use: Careful! Product comes out quite fast. 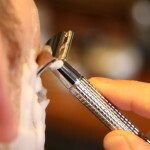 Take a good-sized dollop and gently rub all over your face as part of your pre-shaving routine. Best used whilst showering to really soften the hairs. Avoid the eyes and rinse clean. Another wonderful brand from Scotland! Based in Stirlingshire, Scottish Fine Soaps is a family business that has been making beautiful skincare ranges for over 40 years and is committed to retaining the beauty of their homeland by reducing all their environmental impacts. 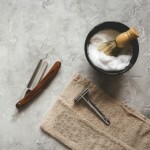 Their men’s grooming collection has a charming vintage feel and a great range of products. 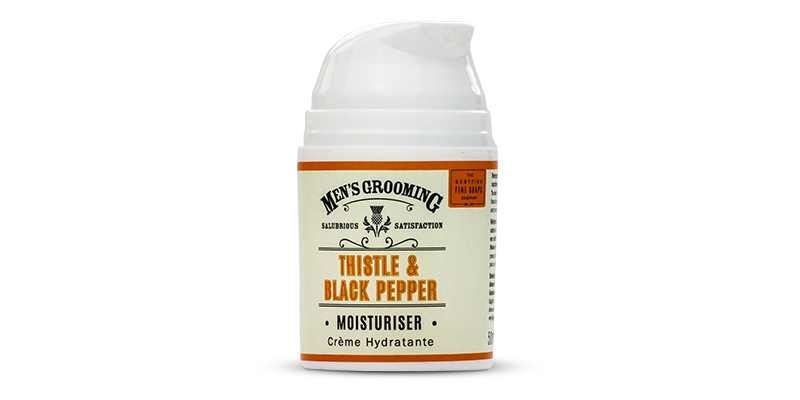 The subtle fragrance of black pepper and milk thistle give this moisturiser a pleasing scent that won’t clash with any other aftershave products. Designed to be used for daily gentle moisturisation, you can use it any time of the day your skin needs a boost. The purifying milk thistle extract keeps skin hydrated and supple. We particularly liked how easily it sinks into the skin without any greasy feel, the marine extract absorbs any excess sebum which leaves you with a comfortable matte finish. To use: Can be used in place of a balm but best when combined as part of a full skincare routine. 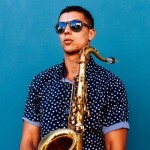 After you’ve applied a post-shave balm and let it sink in for a minute, take one pump of moisturiser and gently rub into the face and neck. This month we decided to feature a 10-pack of blades rather than the usual 2 packs of 5. There are lots of great razor blades out there that only come in 10 packs and we’d hate for you to miss out on them! 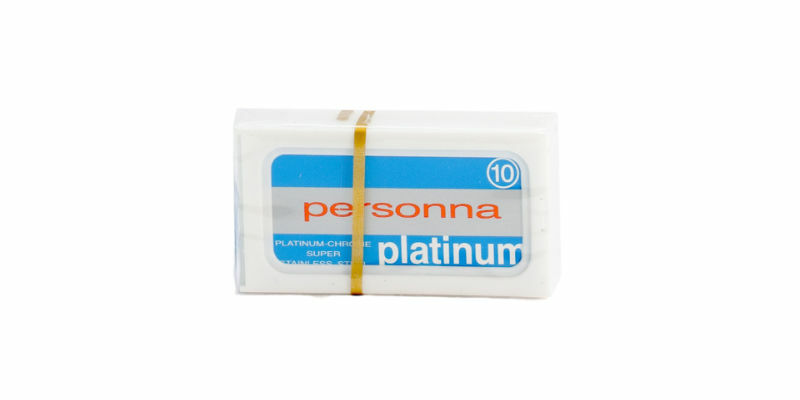 Made in Israel, Personna are a famous brand known by wet shavers all over the world and offer a wide range of double edge blades. The Platinum Chromes (sometimes referred to as “Israeli Reds”) are often touted as their best blade as it has a relatively sharp edge but is known for giving a comfortable smooth finish. 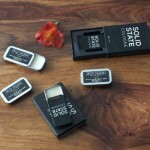 Each blade will last a minimum of 3 shaves for even the toughest beard before you notice a drop in performance. Lighter beards will be able to get closer to 7 shaves per blade.